Learning how to texture walls, especially your own, is a gratifying experience. Not only do you get to choose the style that suits you, but you also get to turn a flat, dull space into something with personality. Everyone will notice it when they visit, and you’ll feel a sense of pride each time you walk into the room. If you didn’t know that you can texture your walls, you’re in luck. Your house will be unique, and you’ll save money by texturing the walls yourself. As you read through the options, note down your favorites and feel free to do more research. If you see something you like but have an idea to change it, go for it. In the end, it’s your space, and you can make it look however you like. Just make sure that you enjoy the experience by taking it one step at a time. If you like the look of stucco siding, you can emulate it with drywall mud. Also called joint taping compound, you can find it at every home improvement store. What makes this material so appealing is that it’s practically fail-proof. If you apply too much in one place or need to change it for whatever reason, just wipe it away and start again. Before you start throwing compound on walls, make sure your walls are clean and completely dry. When you are ready to begin, add a small amount of water to the compound to make it like thick pancake batter. 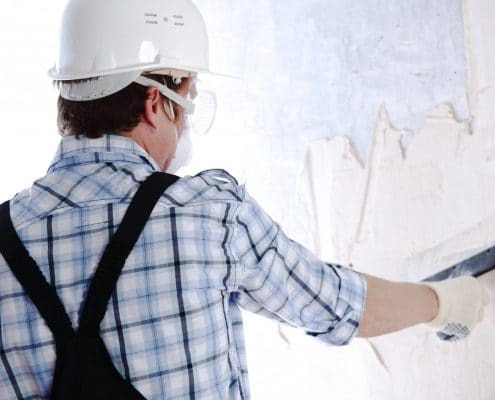 Dab a sponge into the drywall mud and then onto the wall continuously until you have the desired effect. Step back and look at the overall look of the texture. If you love it, let it dry completely before painting it. If you want to change it up, go back to the drawing board and add compound where it is needed. Clean and dry your walls. Add a small amount of water to the compound to make it like thick pancake batter. Apply the joint compound to the wall with either a trowel or a wide putty knife. Use the trowel or squeegee to create a line that reaches wall to wall. Work in one direction, then move in the perpendicular direction and spread the compound to produce the desired crosshatch pattern. Notches will create horizontal indents, then vertical, then back to horizontal, almost like a checkerboard. It will look like a woven fabric up close when you have finished. Roll the drywall mud onto your wall with the sea-sponge roller, which is easier than using a trowel. Use the trowel to spread the mixture onto the wall. Smack the foot stomp brush into the wall continuously, making a pattern across the desired space. Use a knife or paint scraper to eliminate any unwanted points, creating a smoother surface. Keep the putty knife at a 15-degree angle and avoid exerting too much pressure. That will help make sure you do not smooth out the finish too much. Apply the compound lightly in the corners and around edges. In this case, less is better. Try using a paint roller to apply the compound to the wall, then remove some of the drywall mud to create a pattern. Experiment as you like. 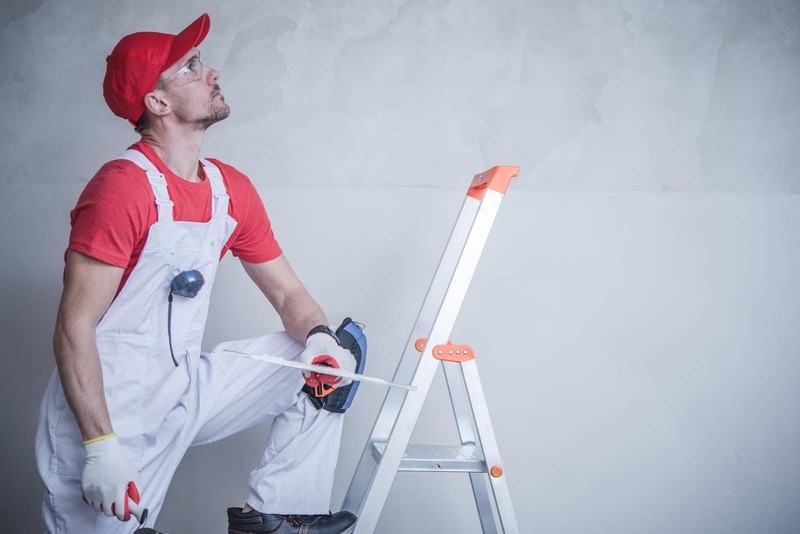 Drywall mud is exceptionally forgiving, giving you the chance to reapply or take away as needed. Give all texture 24 hours to dry before applying paint. If you want to move faster than that, place a fan facing the desired space. 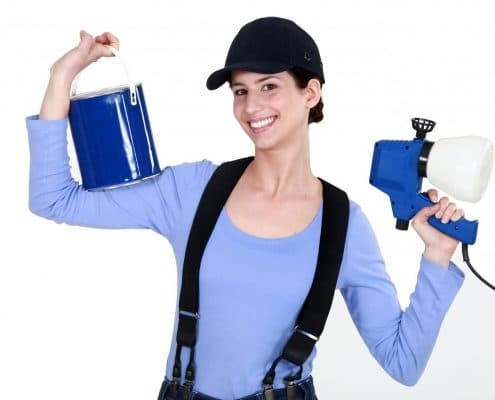 If you are looking to add texture to walls in several spaces, or to a large surface, look into renting a drywall texture sprayer. Similar to a paint sprayer, this machine covers surfaces quickly in joint compound. You can choose the type of compound mixture, the nozzle and the amount of airspeed you need to achieve the effect you want. If you don’t know what look you’re going for, feel free to experiment. Any texture you don’t like can be wiped off and reapplied. Make sure you cover your furniture and flooring sufficiently to avoid splatter. 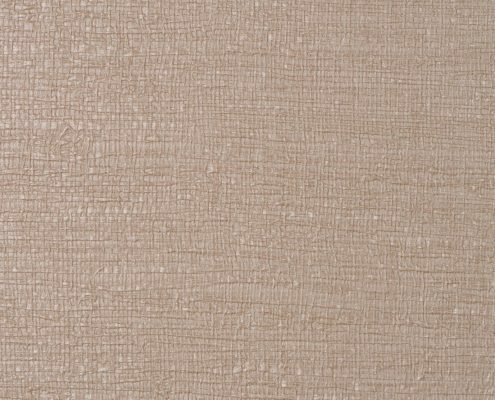 If drywall mud is not what you’re looking for, consider using textured paint, which is offered by most major paint manufacturers. 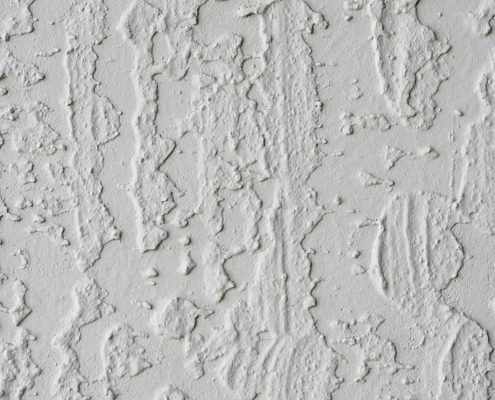 Textured paint is applied similarly to drywall mud, but it is more difficult to remove so you have to be more careful when you apply it. 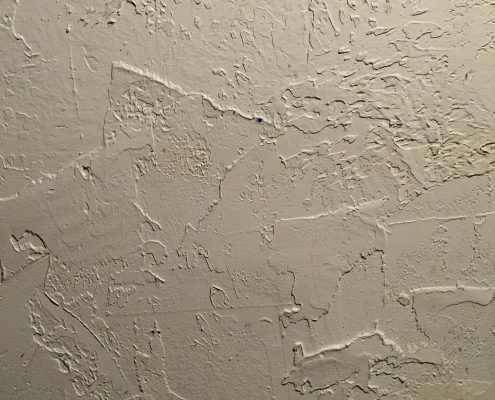 Textured paint dries faster than drywall mud so you should cover the entire surface before the coat dries or you’ll get lines in between roller strokes. 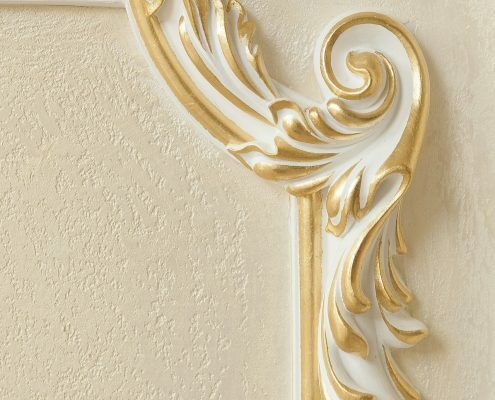 Textured paint is an excellent choice because you can use a standard roller and paint brush for corners and edges. You also usually only need two coats, making the application that much more desirable. There are not very many color options at this time for textured paint, so you can go another route by purchasing a paint texture additive and mixing it with any color of paint you choose. No matter which process you choose, remember to apply the texture in a random pattern. If you focus too much on making everything look uniform, it won’t look as professional. Luckily, random is easier to do, so have fun and enjoy the process. DON’T FORGET! We have many discounts for you to take advantage of locally, head on over to our local deals page to see what you can get.